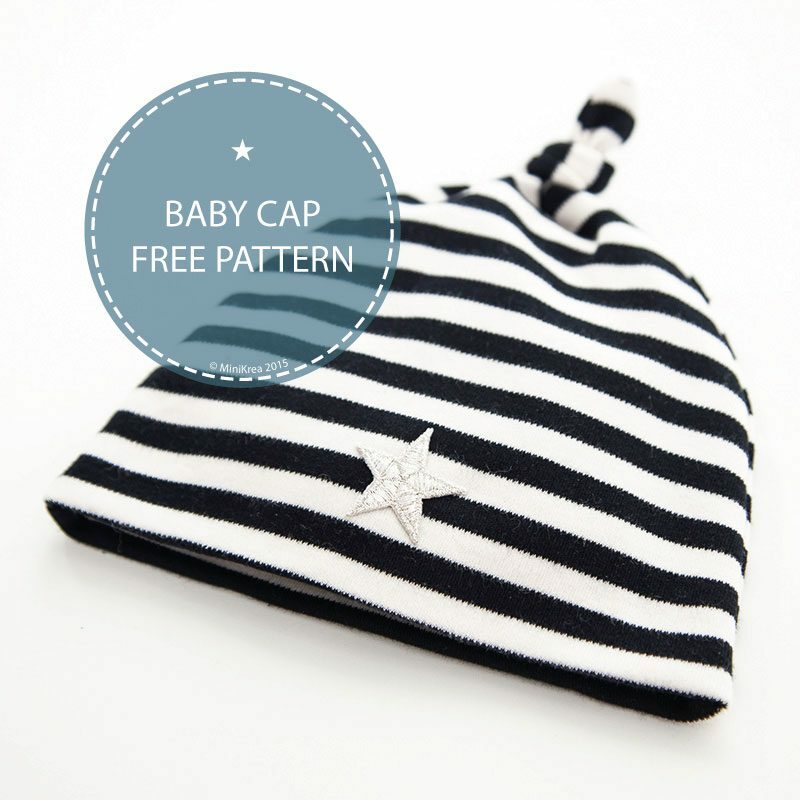 Cute and easy baby cap for the little ones. Cute maternity gift or a fun creative project if you have some fabric scraps in stretch jersey. Sew using an elastic stitch. Pin the pattern pieces together, right sides together. Stitch along the edge, leaving an opening to turn the cap through. Turn the cap to the right side. Close the opening with tiny stitches by hand or use the sewing machine. Fold the lining upwards along the fold line into the cap and press. 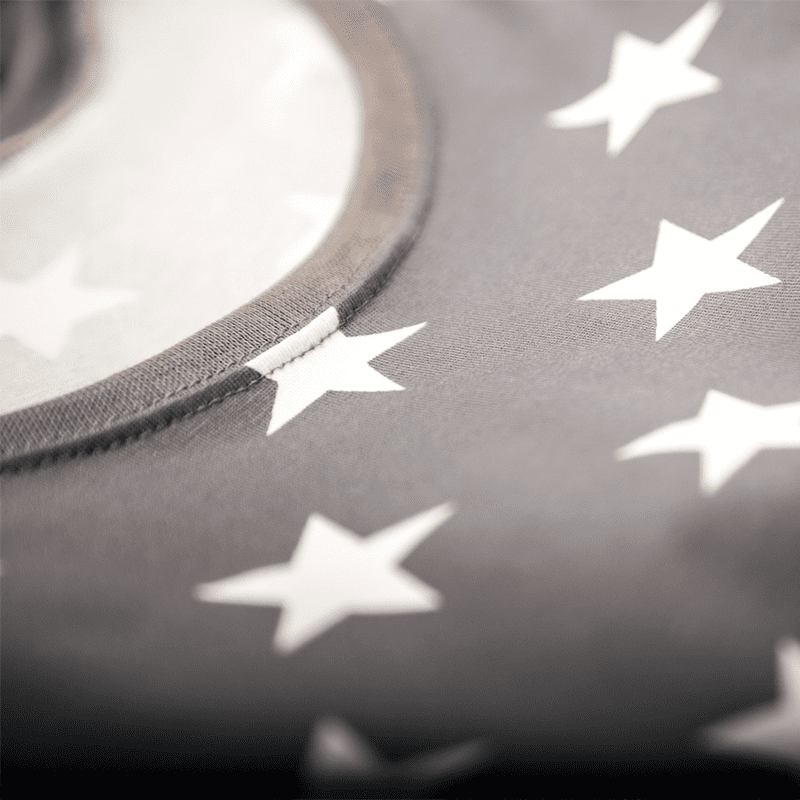 Stay stitch invisible on top of the side seams, to keep the lining in place inside the cap. Decorate with the iron-on-patch if you wish and tie a nice knot on the caps tip . Download pattern / Remember to print in full-size, be ware to choose ‘Page Scaling: NONE’ to secure the sizes on the pattern pieces is correct. Use the test square on the pattern to check before you cut out the pattern pieces.